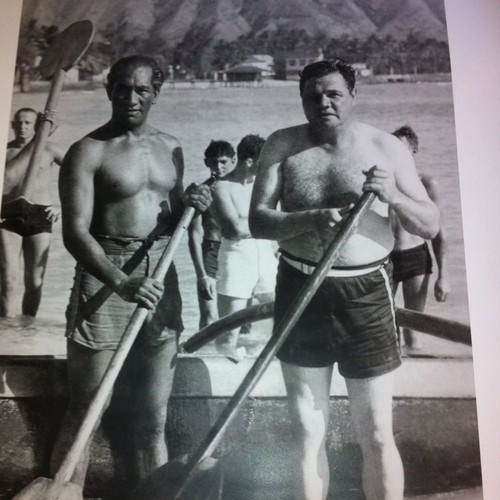 When I was a child, I remember that my paternal grandparents would vacation each winter in Hawaii. My grandmother had a childhood friend, Nadine, who lived there with her husband. 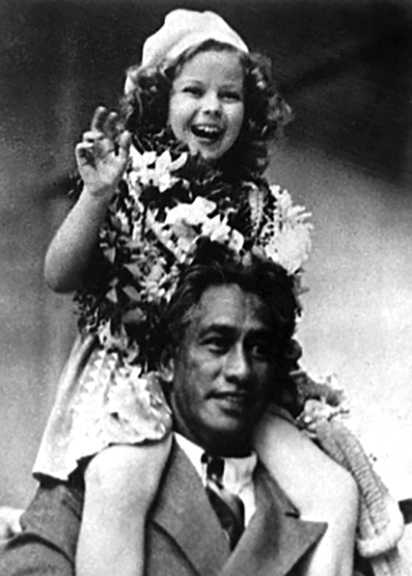 I always remembered his name…..Duke Kahanamoku. 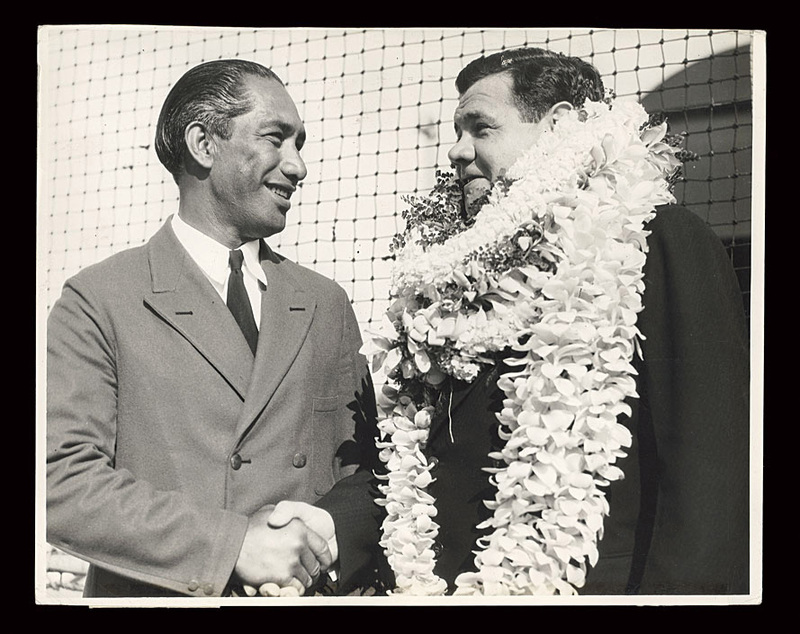 My grandmother would tell me that this man was very well known and how he and Nadine would meet many famous people. After my grandmother’s death at age 96 in 2000, I became curious about him and did some research. 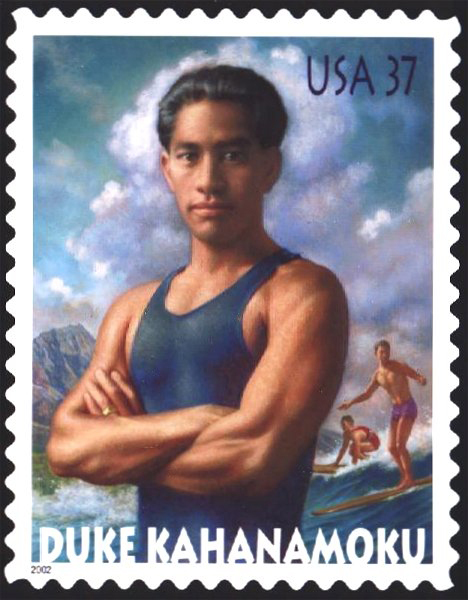 A full blooded Hawaiian, Duke Kahanamoku competed in the Olympics of 1912, 1920, 1924 and 1932 winning 5 metals for swimming, two of them gold. 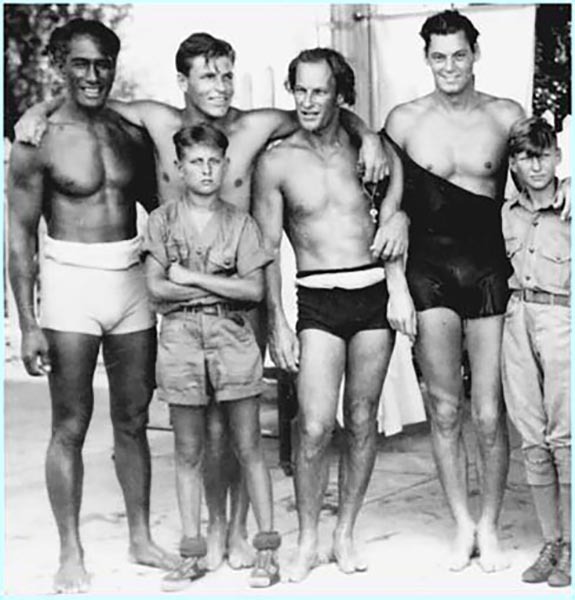 For one of his silver medals, he was runner-up to Johnny Weissmuller, the first Tarzan of the movies. 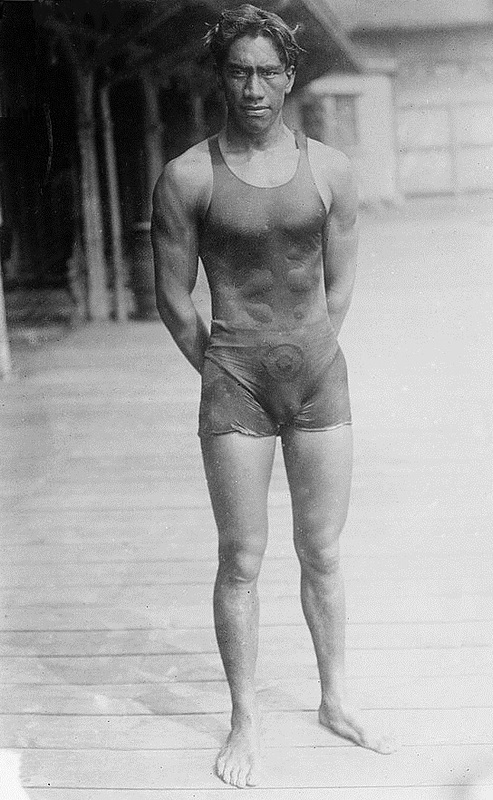 (Duke’s brother, Sam, took the bronze medal, that year.) Duke and Johnny became lifelong friends. 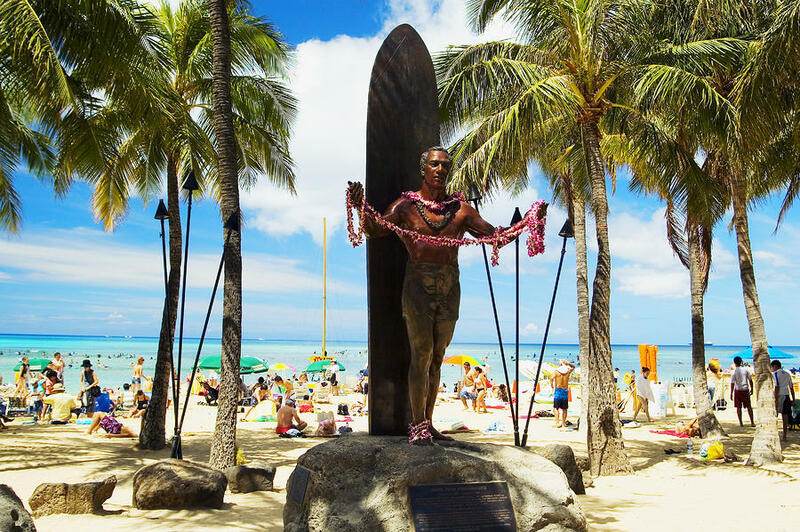 Duke was the most instrumental figure in the spreading of the sport of surfing from Hawaii, its place of origin, to the mainland United States and Australia. 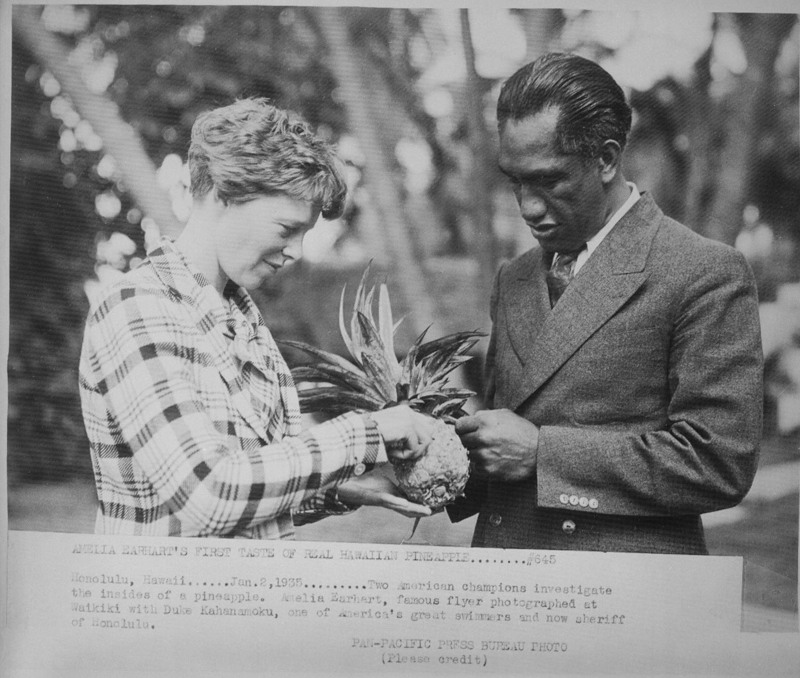 He and Nadine became the unofficial ‘first couple’ of Honolulu and entertained dignitaries and celebrities from around the world, as you can see in the images below. Duke (his name….not a title) was in a number of Hollywood movies. 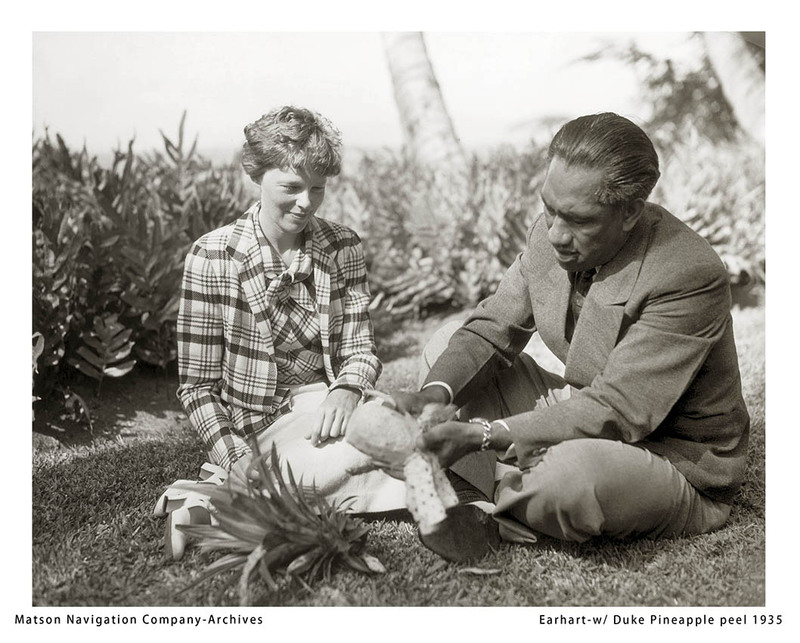 In a 1990 interview, Nadine said when she was in high school, she saw a magazine picture of Duke with actors Douglas Fairbanks and Mary Pickford and said, “THAT’S the man! 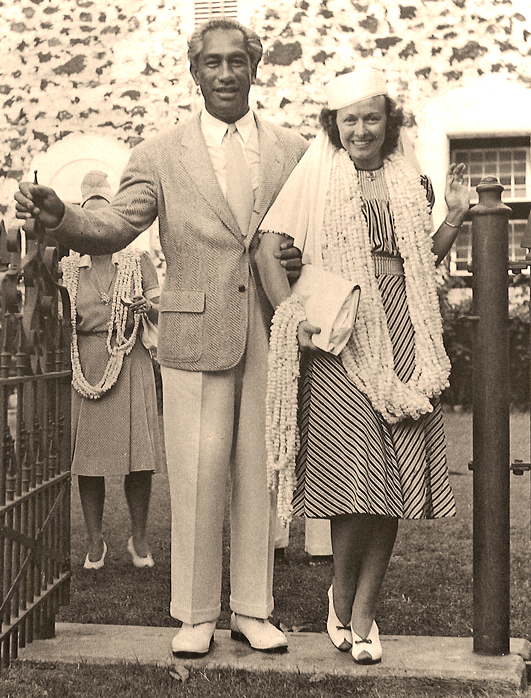 What a gorgeous hunk of humanity!” A professional dancer, in 1938 Nadine took a job as a dance instructor at the Royal Hawaiian Hotel. Within a couple months, she asked for an introduction to the man of her dreams as a teenager. 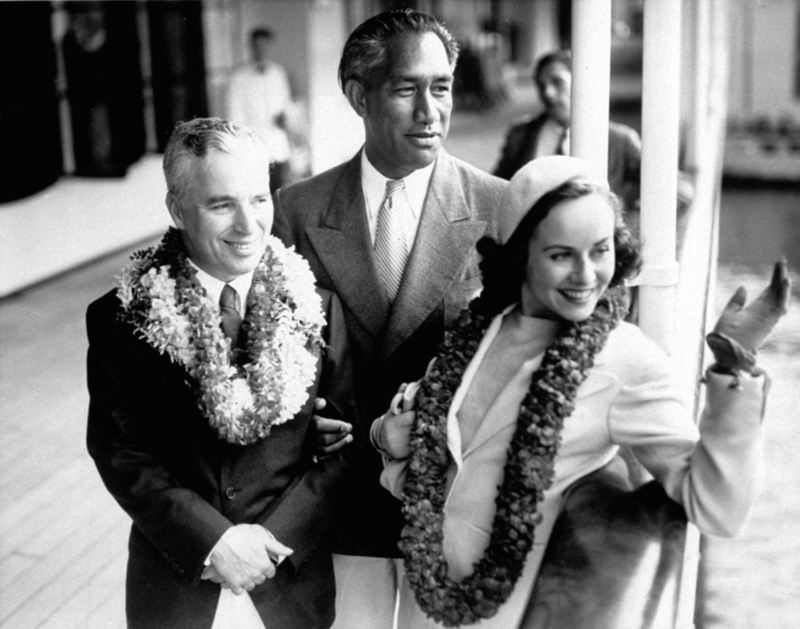 She and Duke wed in 1940 and remained so until his death in 1968 at the age of 78. My grandmother continued to visit Nadine, periodically, until her health prevented her from making the long trip to Hawaii. Nadine passed away in 1997 at the age of 92. 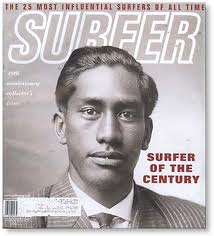 Duke is now considered the “father of surfing” and was named the “surfer of the century” by Surfer magazine in 1999. What a nice surprise to hear from you! How did you happen upon this blog post? I love those old pictures of Duke and the story of how my grandparents knew him and his wife, Nadine, who was a childhood friend of my grandmother. Thanks for getting in touch!